One of the best ways to enjoy using iPod is to load it up with songs that we love the most. No matter what genre that song is, we love to hear it from our iPod especially if we feel like listening to music or in case if we are bored. The most typical way of loading songs to our iPod is with the use of computers. The very important thing that we are going to use if we want to load our iPod with several songs is the Universal Serial Bus (USB) data cord that comes along upon your purchase of the device. The process that involves the use of USB data cord to your computer is called a wired synching. What if your USB data cord has gone mad and it won’t function well? Borrow from your other USB data cord from your siblings or siblings, I guess? What if they are not around or what if they don’t have one? Are you doomed? Remember, you should not use a defective USB data cord because it might lead to data corruption, which will then erase your files unexpectedly. 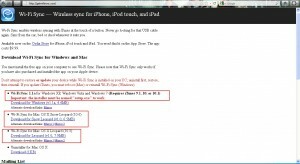 In this post, let me teach you how to sync your iPod to your computer without a USB cord. Are you amazed? You could do it as long as you follow the instructions below. First of all, make it sure that your iPod is fully charged. Wi-fi connectivity can take up your battery quite well. You need to make it sure that Cydia is installed on your device. You cannot install Cydia if your iPod has not been jailbroken. If you don’t know, Cydia is an open source software which will allow users to download and install third party applications. Assuming that Cydia is already installed, launch the application. Tap the Manage button, you can see it at the bottom of the application interface. Tap Edit in the top right corner of the interface, then tap ADD. Key in the URL http://podulu.com and tap Add Source. Find the Podulu.com on the source and tap it. You can see a list on the available application you can find in Podulu. Head over to the applications starting with W and locate Wi-Fi Sync. You may also use the Search button at the bottom and key in the keyword Wi-Fi Sync. Install the application on your iPod. Its icon is colored blue with a white oblong in it. On your computer, open your favorite web browser and enter the URL http://www.getwifisync.com in the address bar. Windows if your computer is running any Microsoft Windows OS. Install the application. Follow the wizard and then you restart your computer. Find the icon of the Wi-Fi sync in your computer and make it sure it is enabled. Back to your iPod, launch and enable the Wi-Fi sync. Once enabled, launch iTunes and see if your device is on the list. If it is there, it means that the sync is a success. To have a faster transfer rate, make it sure that your iPod is closer to your computer. The shorter the distance, the faster is the rate of transfer. 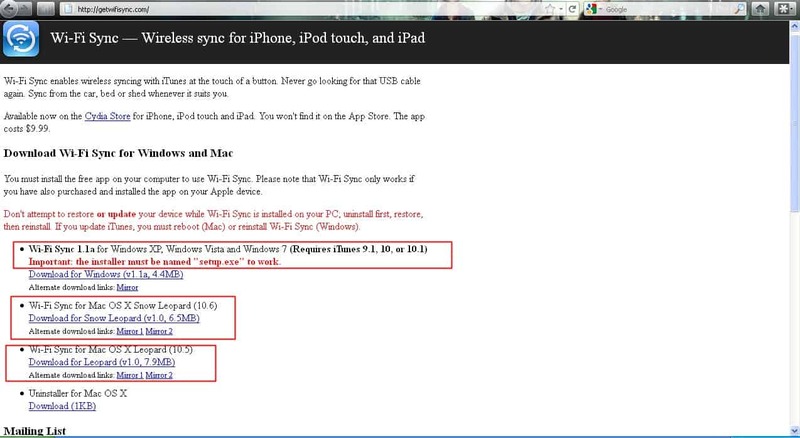 Now, you already know how to sync your iPod to your computer without a USB cord.